The season for shopping has begun. Diwali is around the corner, and I’m sure your list for gifts to buy for family, relatives, friends, colleagues and yourself is as long as mine. This is also the best time for deals, not just in stores but online as well. 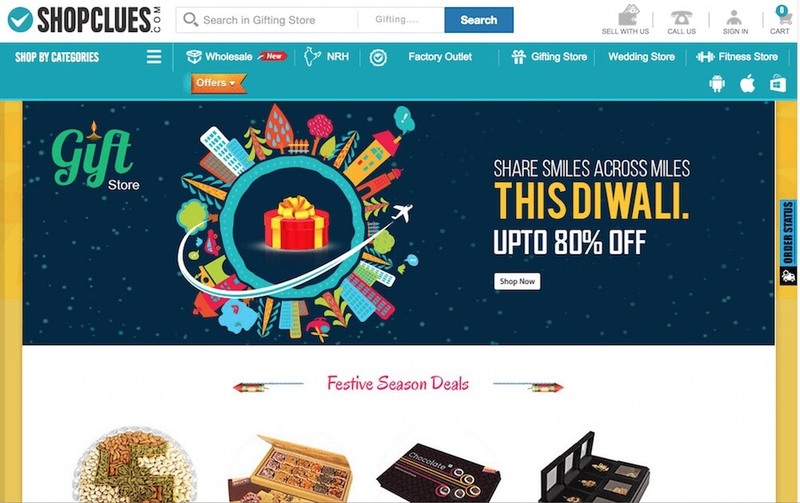 Here’s my pick of websites that can serve as a starting point and help you get the most out of your Diwali shopping. 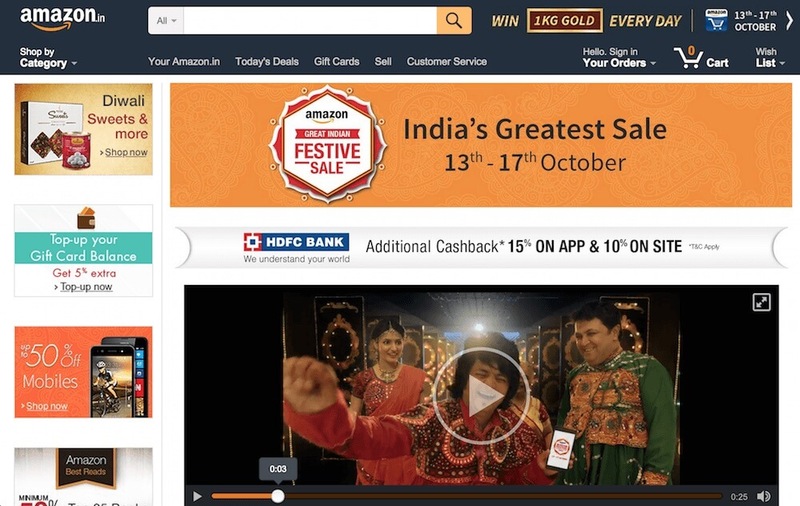 Grab your golden chance during the sale on Amazon India. From apparels, accessories, electronics and more, this sale has everything you need to make your Diwali a memorable one. In addition to all the frills and discounts that almost all shopping portals are claiming, you also stand a chance to win 1Kg gold everyday. Amazon is my personal favorite, and I am looking forward to picking up items I’ve had parked in my wishlist for the last two weeks. 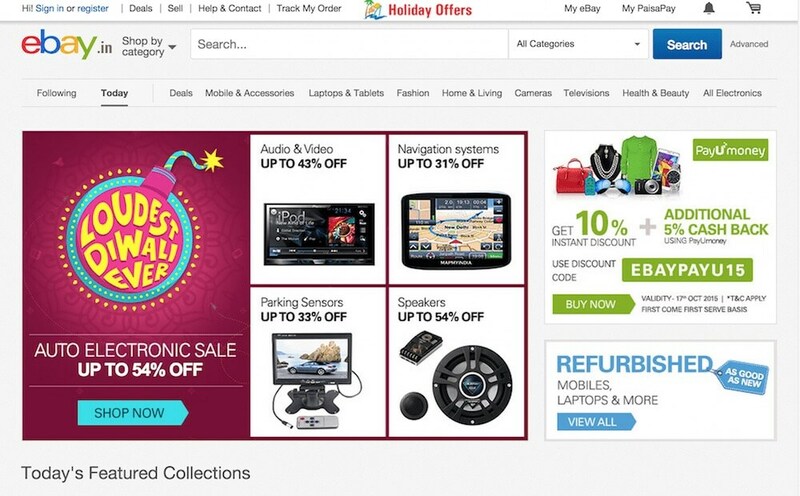 eBay India has always been famous for having it all. 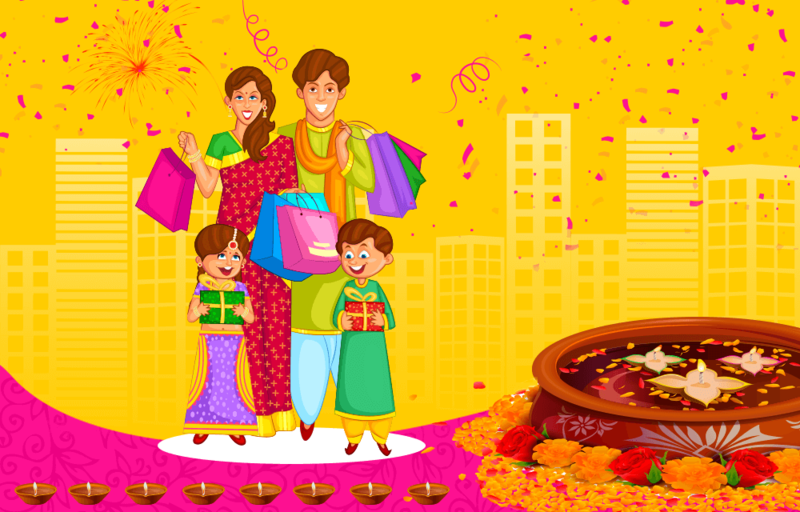 For your Diwali shopping, you can choose from gold coins, jewellery, ethnic wear, home decorations, gadgets (how can we ever resist?) and many more categories. My recommendation is to look out for the ‘Pataka Offers’ and ‘Festive Essentials’ sections. From what I’ve seen, the discounts here can be high as high as 87%! 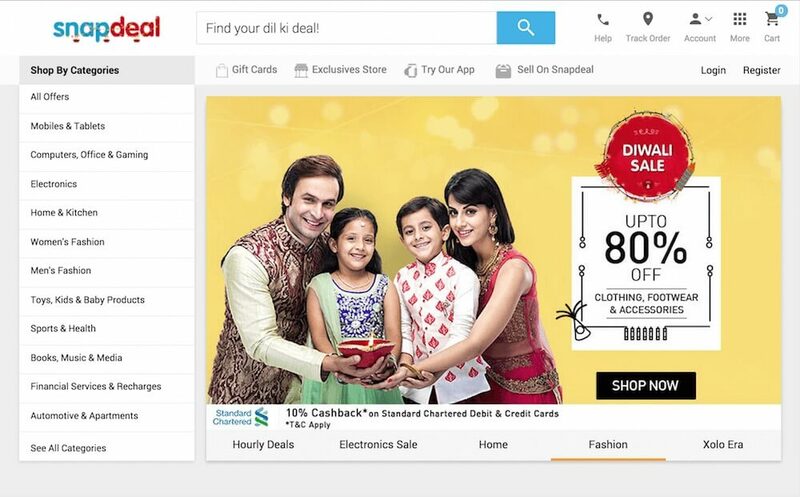 Snapdeal caught my attention years ago when it started as a deals website. Now, of course, it has emerged as one of India’s largest online marketplaces. They are among the first ones to tempt Diwali shoppers with Electronics Monday, which was hosted on 12th October. The iPhone 6, Mi4, DSLRs, refrigerators (which they claim to sell 1 in every 50 seconds) and many more electronic treats were up for grabs. But, it ain’t over yet! Their Diwali sale is still going strong, with up to 80% discounts on apparel, accessories, home furnishings and more. This is also a good time to splurge on Shopclues for everything from dinner sets to curtains to bed linen and every small thing you will need to refresh and prepare your home to welcome Goddess Laxmi. There are also good discounts on other household goods. I say go for it and surprise your mother by being the most thoughtful version of you. For many of us the love, trust and comfort of online shopping started with Flipkart. 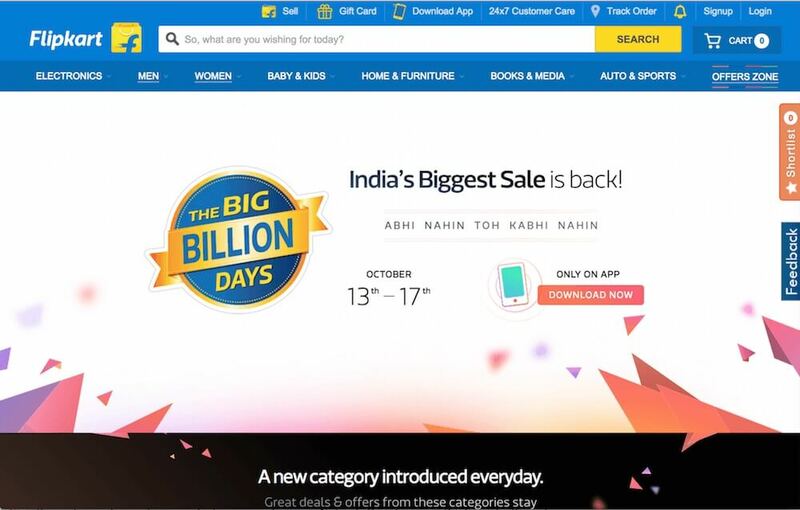 Like last year, they are back with their ‘Big Billion Days” sale to make Diwali shopping more fun. They are promising unbeatable discounts across 70+ product categories, but only on the Flipkart app. Also Myntra – the fashion destination, who got acquired by Flipkart, has also announced special deals for the season. You can enjoy additional discounts/cash back if you are shopping with your State Bank of India, Standard Chartered, and Citibank debit or credit card. 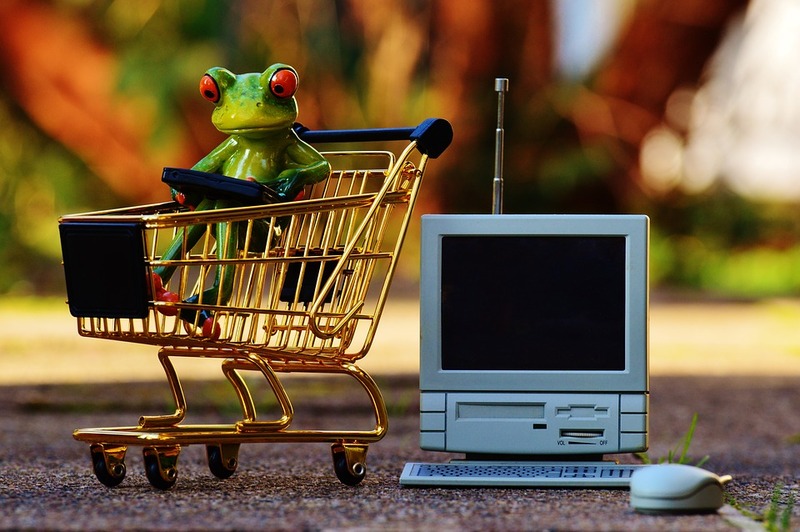 So many websites, so many discounts may mean you are confused about which one will provide you the best product at the best price. If so, be sure to check out the handy price-comparison sites such as CompareRaja, PriceDekho, MySmartPrice to ensure you get the best deal. While everyone is offering deals to save money, I’d like to take this opportunity to introduce you to Opera’s style of saving. 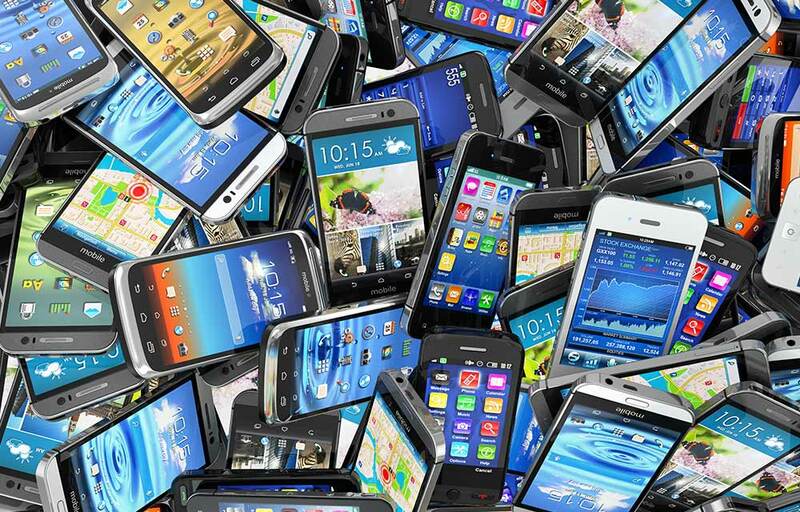 Download and use Opera browsers on your mobile phone to save up to 90% of mobile data when surfing. And, if you are a big app-junkie, then install Opera Max on your phone and save data across most of the apps on your device, including Amazon, Flipkart and Myntra. Isn’t that tempting? Do enjoy your Diwali shopping, and, if you come across any interesting deals, please share them with us in the comments section below.